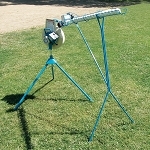 The JUGS MVP Combo Pitching Machine was designed specifically with machine pitch baseball and softball leagues in mind. It accurately pitches strikes at adjustable speeds ranging from 20 to 60 miles per hour. The built-in Digital Speed Readout makes it easy to set the pitch exact pitch speed you want. 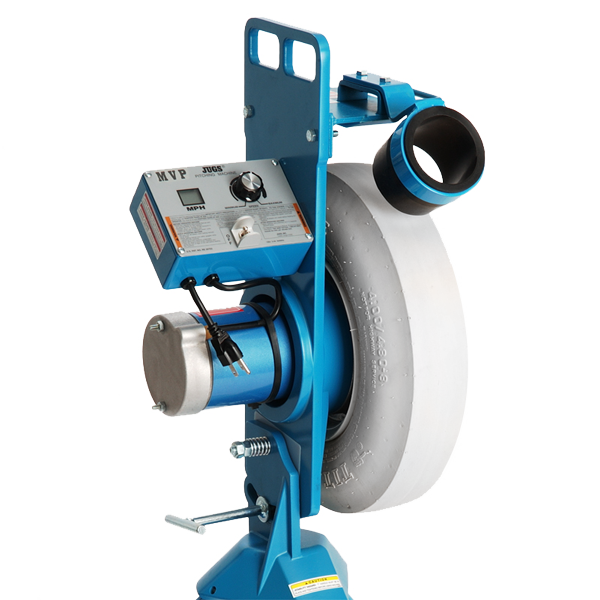 Featuring a non-marking pneumatic tire, the JUGS Combo Pitching Machine is powered by an impressive 1/4 horsepower, 3 amp motor. It's super easy to set up, and because of its removable legs, it can easily fit into the trunk of practically any car. The JUGS MVP Combo pitching machine can throw real leather baseballs, dimpled baseball, lite baseballs, real leather 12-inch softballs, 12-inch dimpled softballs and 12-inch lite softballs. More than just a machine for hitters, the MVP is great for fielding drills, too. It can be tilted upward to throw fly balls and pop-ups or downward to throw grounders. Please Note: Pitching machine wheels degrade faster with real balls, the seams on real balls cause them not to pitch as accurately and the pressure exerted on real balls causes them to soften up, eventually to the point where their covers get ripped off by pitching machines. 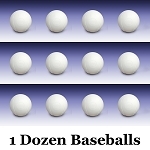 The seams on real balls also cause them to pitch inaccurately. Because of that, we recommend buying dimpled pitching machine balls, which last practically forever, pitch more accurately and are much more kind to pitching machine wheels. 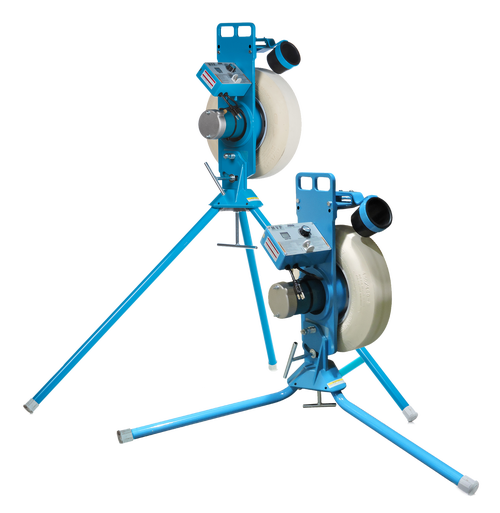 Like all JUGS pitching machines, the JUGS MVP Combo pitching machine is backed by an industry leading 5-YEAR WARRANTY covering all parts (moving and non-moving) against normal wear and factory defects. It is powered by any standard 110 volt electrical outlet. For complete warranty information, please see our Shipping and Returns page. Although a JUGS MVP Combo pitching machine can certainly throw real balls, real baseballs and softballs cause pitching machines wheels to degrade far more quickly, the seams cause the pitches to not be as accurate and the pressure of the pitching machines wheels will eventually rip the covers off of real balls. 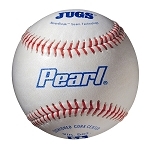 JUGS Sports guarantees that JUGS MVP Combo Pitching Machines are well made; of good materials, and workmanship; and agrees that if, within five years after shipment thereof, any part so guaranteed should fail because of defective material or workmanship in its manufacture, the Company will repair or replace such part, free of charge F.O.B. to its factory in Tualatin, Oregon; provided, however, that upon request, the Buyer shall return the allegedly defective part to the Company s factory with transportation charges thereon prepaid. Commercial use of any JUGS product automatically limits this warranty to 30 days after date of shipment. This warranty shall not be effective if the equipment has been subject to misuse, negligence or accident, nor if the equipment has been repaired or altered outside of our Tualatin factory in any respect which, in our judgment, affects its condition or operation. No matter where you order a JUGS MVP Combo Pitching Machine from, NOBODY actually stocks them; they all ship directly from the manufacturer's warehouse located in Tualatin, Oregon. Therefore, the shipping time frame is exactly the same no matter what website you order from (we hope that it is this one!). JUGS MVP Combo Pitching Machines typically take 2-4 business days to ship from the time you place your order. They ship via Federal Express (FedEx) Ground and could take anywhere from a day or two to a week to get to you AFTER being shipped, depending on your proximity to their warehouse. We will notify you of your tracking number the moment we receive it from the manufacturer's warehouse. Click here to download an easy to read, printable PDF of the JUGS MVP Combo Pitching Machine Owner's Manual.